Have you ever noticed, that in life, there are two kinds of people? There are people who realize that their lives are in their own two hands. People who make it happen, people who grab life by the balls, and actually get what they want. People who do not make excuses. People who receive an idea, and run with it and make it happen. If they 'fail' they realize failure doesn't exist. There is only feedback, which is why I put the word 'failure' in quotes. They take the feedback, and continuously make adjustments, till they reach their goals. They are the ones you see living in excellent houses, going on the nice vacations, and making things happen. You meet them, and immediately you feel their strong confident aura, they shake your hand firmly. These people are in the top 10% of the population, what is known as 'the talented tenth'. I refer to this class of people as 'Lions'. They take control of their own destiny, and never start the day in neutral, but in top gear. On the other hand, there exists a second group of people. They believe that life owes them something, and they have had all the unlucky breaks. They believe 'its not what you know, it's who you know'. They attribute other peoples success to either 'luck' or 'just God' (Forgetting that God requires you to work) . They whine, and complain about the economy, about how life is going to the dogs. They want to get the most out but put in very little. They scoff at successful people and whine and moan about how things aren't happening for them. They refuse to think for themselves, and are content to just swallow anything fed to them by society. 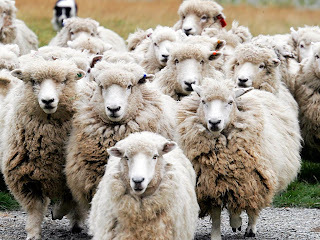 I refer to these as the sheep. Sheep always like to 'baa' about how its all 'baa-aad'. You do not need to be a rocket scientist to know that if you are a sheep, then your life is going to consist of you looking at the behind of the lead dog in front of you. You will live a mediocre life, and be constrained to live your life achieving other peoples goals. This sounds harsh but its the reality. And didn't I tell you before that this world DOES NOT owe you ANYTHING. The kicker is that you get to choose everyday, if you are going to be a lion or a sheep. 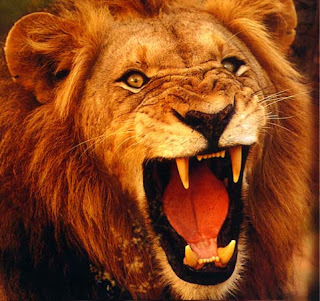 And the more you act like a lion, the more you get the results the lions of this world get. Anytime you decide to set clear written goals for yourself, anytime you decide to take personal responsibility for your life, you are acting like a Lion. Anytime you take charge of yourself, and discipline yourself to focus on what you want, instead of what you do not want, you propel yourself towards your goals and set yourself on the side of the angels. Likewise any time you moan, gripe, make excuses, and blame everything outside yourself for the poor results you are getting, then you exhibit sheeplike behaviour, which sets you back. Your task today, is to decide to be a lion. Being is the first step....if you 'be' then you will 'do' and 'have'. Then you will get the results a lion gets, and the sheep will call you 'lucky'. And yeah..it's your own life afterall ! i liked d way u finished ......muuaah ....kya Andaaz hain ..!! !